It may be winter, but the Fresno Grizzlies are already getting ready for spring and the start of the baseball season. 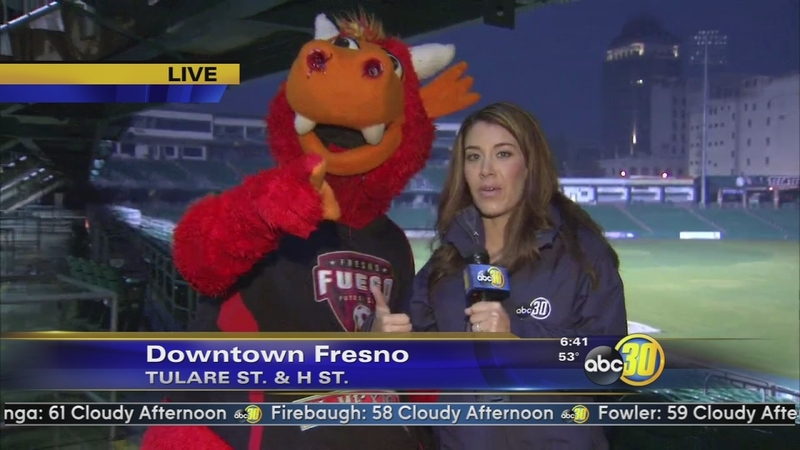 FRESNO, Calif. (KFSN) -- There is a lot going on at Chukchansi Park before the start of the spring season. A big fundraiser will bring big names like Rex Hudler to Fresno, and the Fresno Fuego will host an exhibition match with the Sacramento Republic FC. But this weekend, the park is looking to hire new people to help with all of the upcoming events.Fresno Grizzlies and Ovations Food Services will hold their annual Job Fair for game-day staff positions on Saturday, January 31st from 10:00 a.m. to 1:00 p.m. at Chukchansi Park. Combined, the two organizations staff an average of 500 positions each year that include: security, ushers, ticket takers, box office, team store personnel, housekeeping, lifeguards, bat boys, grounds crew, concessions, kitchen, and catering. All returning and new attendees for the job fair are asked to enter Chukchansi Park through gate 2 off of H Street on the day of the event. Free parking is available in the lot on the corner of H and Kern Streets and professional attire is highly recommended. On Saturday, February 7th, the Fresno Grizzlies will host the 54th annual Hot Stove Gala at the Fresno Convention Center. Special guests include Harold Reynolds, Rex Hudler, and Brad Mills. The gala features a silent auction, a three-course dinner with wine, raffle prizes, as well as the opportunity for photographs and autographs with the special guests. Proceeds benefit the Grizzlies Community Fund, which will be making a donation to Fresno High for their monument that will honor the 13 athletes that have made it to the major leagues. Tickets can be purchased online or by contacting the Grizzlies. The Fresno Fuego will host an exhibition match with the Sacramento Republic FC. On Saturday, February 7th, the Fresno Fuego will host an exhibition match with the Sacramento Republic FC. The match, dubbed the Highway 99 Derby, marks the first time the two teams will meet at Chukchansi Park. Tickets are $6 to $16 for the match-up. The Fuego will also host USL Pro La Galaxy II in an exhibition match on Saturday, February 21st at Chukchansi Park.